When a bipartisan group of the state’s top elected officials stood before a bank of cameras this summer and declared their opposition to legalizing marijuana in Massachusetts, they kept returning to a familiar argument: The drug too often leads to the opioid abuse destroying so many families. “If you know anyone in the recovery community, talk to them,” said Mayor Martin J. Walsh, a recovering alcoholic and longtime advocate for those struggling with addiction. “You’ll hear that most of them, many of them, started with marijuana.” Governor Charlie Baker and House Speaker Robert A. DeLeo echoed fears of marijuana as a “gateway” drug. But six weeks before voters decide on a referendum legalizing recreational use of marijuana, a review of the scientific literature and interviews with experts shows that, while there is some evidence for the gateway theory, it is not as solid as the state’s political leadership would suggest. Marijuana is undoubtedly a gateway in one respect: Its use almost always precedes the use of harder drugs. But most marijuana smokers don’t go on to shoot heroin. And it’s not clear that using one somehow causes the use of the other. 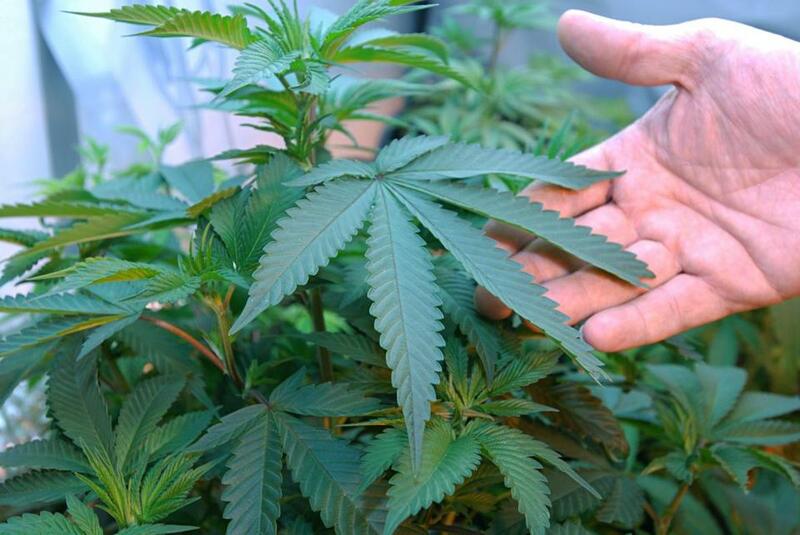 Massachusetts voters will decide in November whether to legalize marijuana for recreational use. Correlation, as scientists like to say, is not the same as causation. There are, in fact, plenty of alternative explanations for why some people move from marijuana to harder drugs. Perhaps underlying forces, like anxiety or a willingness to take risks, lead to the use of both drugs — with most people smoking marijuana first simply because it is more readily available. Another theory focuses on the illegality of marijuana. Because users are forced to buy it on the black market, the argument goes, they are exposed to drug dealers who might later sell them more dangerous substances. 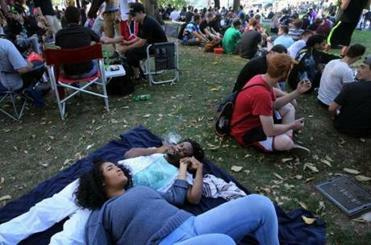 Eddie Curley , right, used a water pipe while smoking with friends during the Boston Freedom Rally on Sept. 17. Research shows that in the Netherlands, where marijuana is legally sold in cafes, young marijuana smokers are slightly less likely to take up harder drugs than their counterparts in the United States and other countries. A RAND Drug Policy Research Center paper, “What Can We Learn from the Dutch Cannabis Coffeeshop Experience?”, found some evidence for a “weakened gateway” in that country. Indeed, some researchers and legalization advocates insist that claims of a gateway effect just don’t stand up. “The evidence is vaporous at best,” said Andrew Golub, a senior principal investigator with National Development and Research Institutes, a New York think tank. 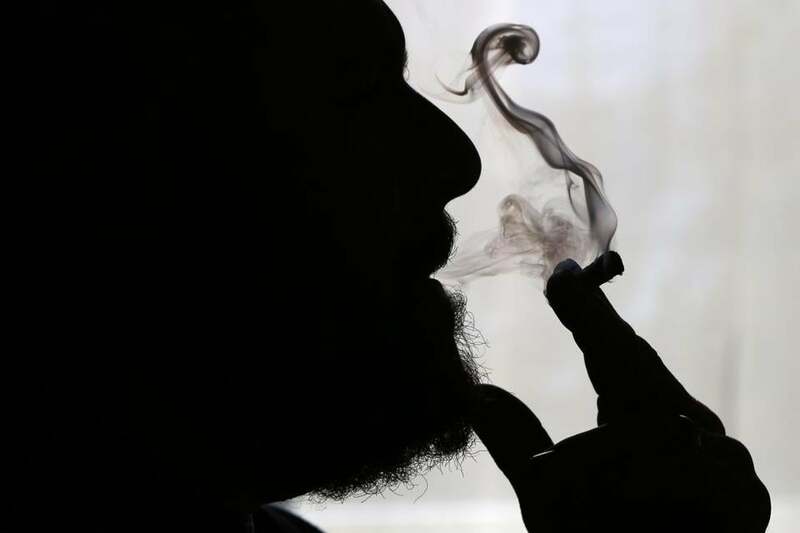 Part of the difficulty in coming up with a definitive answer to the gateway question, researchers say, is that there is no way to conduct a randomized experiment with humans — no ethical way to just give young people marijuana and see what happens. But there have been animal experiments that provide some evidence for a gateway effect. In one study, published in the journal Neuropsychopharmacology in 2007, researchers injected adolescent rats with THC, the main psychoactive ingredient in marijuana, every three days. Then they allowed the rats to step on a lever and self-administer heroin through catheters implanted in their jugular veins. Those exposed to THC pumped themselves with more heroin than a control group that had no prior exposure to THC. Yasmin Hurd, one of the researchers involved in the study, said the THC-exposed rats experienced changes in the nucleus accumbens portion of the brain, which plays an important role in processing motivation and reward — changes that could make them more susceptible to heroin abuse. But if there is some evidence that marijuana primes the brain for hard drug use, the same could be said of alcohol and nicotine. Denise Kandel, a professor of sociomedical sciences at Columbia University and a pioneer in the study of gateway effects, teamed up with her husband Eric, a Nobel Prize-winning neuroscientist, to look at nicotine. Their study, published in The New England Journal of Medicine in 2014 and titled “A Molecular Basis for Nicotine as a Gateway Drug,” found that mice primed with nicotine had a substantially greater preference for cocaine than a group of mice given only water. That research could be read two ways. Legalization advocates would say it is hard to justify the continued prohibition of marijuana when a legal drug like nicotine has been shown to have gateway properties. But, a prohibitionist might counter, why allow for easier access to yet another substance that might contribute to the use of heroin or cocaine? Without a scientific consensus, some experts say, the heavy focus on the “gateway effect” is misguided. “I think the main issues around marijuana are the direct effects of marijuana, which, I think, are better documented and better understood and are a concern themselves,” said Sharon Levy, director of the Adolescent Substance Abuse Program at Boston Children’s Hospital, who has raised concerns about legalizing recreational use of the drug in Massachusetts. Some research, she points out, suggests that marijuana can hamper brain development in youths. This April 21, 2011, file photo shows marijuana growing in the home of two medical marijuana patients in Medford, Oregon. And regular use is associated with greater risk of anxiety or depression, though no causal link has been made. For now, though, the gateway debate rages on in the political sphere — with little regard, it seems, for what science does or does not say about it. @globe.com. Follow him on Twitter @dscharfGlobe.